It's as if a giant reversing lens has been placed across Europe. Arthur Scargill denounces the Polish Arthur Scargills. At the same time, the time-servers and bureaucrats of the British labour movement support, in Poland, the same working class militancy that they detest in Britain. 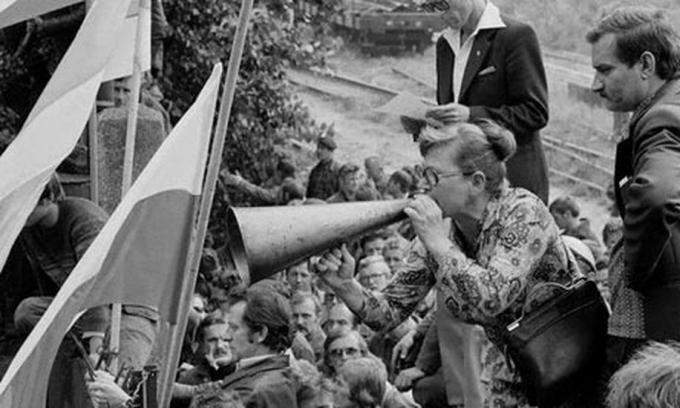 Solidarnosc's programme includes: works managers to be subject to recall by elected workers’ councils; ‘opening the books’ of state economic planning; abolition of the privileges of the bureaucracy; free trade unions and the right to strike. That is not anti-socialist.